8 days of adventurous photography touring with two pro leaders exploring Iceland's stunning and varied locations from the North to the South, offering a comprehensive weeklong itinerary that's simply unmatched in terms of breadth or price. Brand new itinerary for 2016! 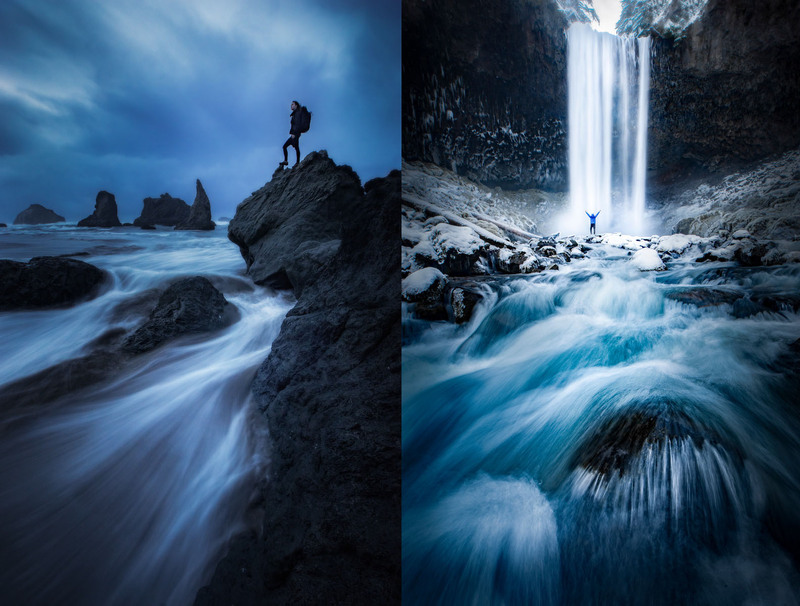 This incredible photography tour and workshop around Iceland, the legendary land of fire and ice, is meant for passionate outdoor photographers. This packed itinerary is designed to help you photograph the most variety of regions, the under-photographed, and the most beautiful and rugged of all of Iceland’s diverse geographic areas, and also includes photo stops at many of the popular natural attractions that are considered must-sees. We travel in a large loop starting in Akureyri in the North, then through the geothermal areas and glacial river canyons of Northern Iceland, and completing our circumnavigation around the rest of the country travelling through glacial regions, ending at Reykjavik. 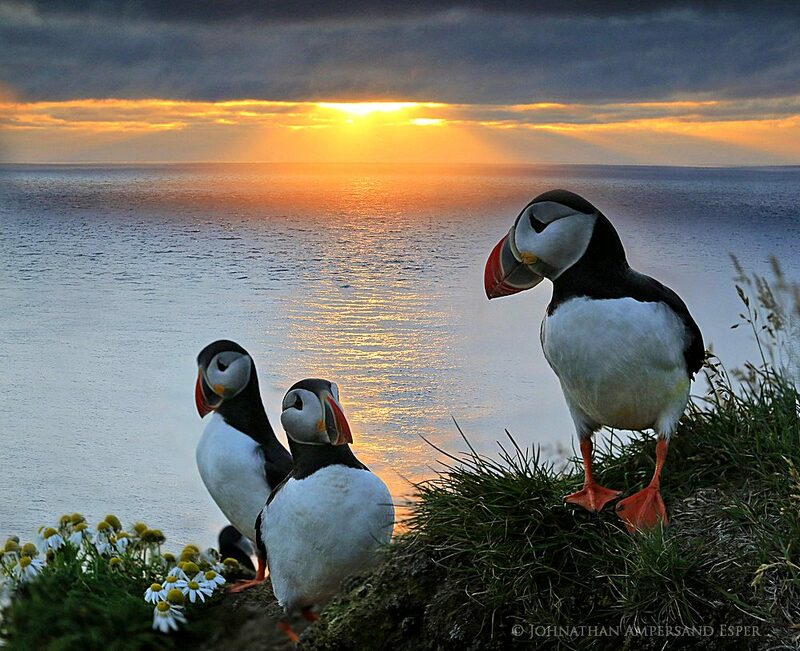 We’ll enjoy Iceland’s long summer daylight hours as we photograph highlights including erupting geysers and geothermal areas, nuzzle with Icelandic horses in idyllic green pastures, peer over sea cliffs alive with hundreds of thousands of birds including puffins, swim in warm volcanic springs, hike up mountains for panoramic vistas of Iceland’s green mountains, explore some of Iceland’s stark highland regions, and photograph Iceland’s glaciers. Read below for a detailed itinerary and further trip information. This trip will be co-lead with pro special-guest photographer Andrew Studer, who brings to this trip not only a second professional photographer to learn and get extra personalized assistance from, but also a special focus on capturing people in the landscape, and adventure photography. In the beginning of the day, we'll travel from Reykjavik up to Akureyri via a domestic flight. This is included in the trip price! Akureyri is the second largest town in Iceland. Quiet churches along the ocean, farmsteads beneath pinnacles, or the northern-most botanical gardens in the world are all more possibilities to photograph. 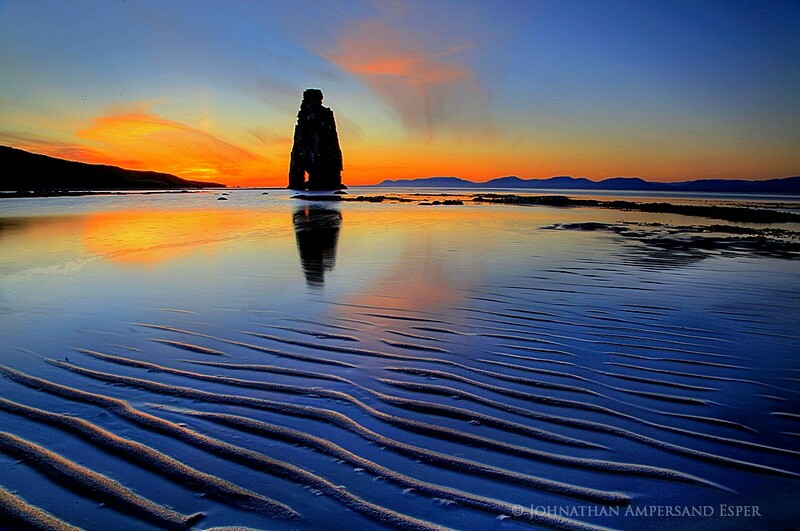 We'll have a bountiful dinner at a nice restaurant, then go out again for the midnight sunset. 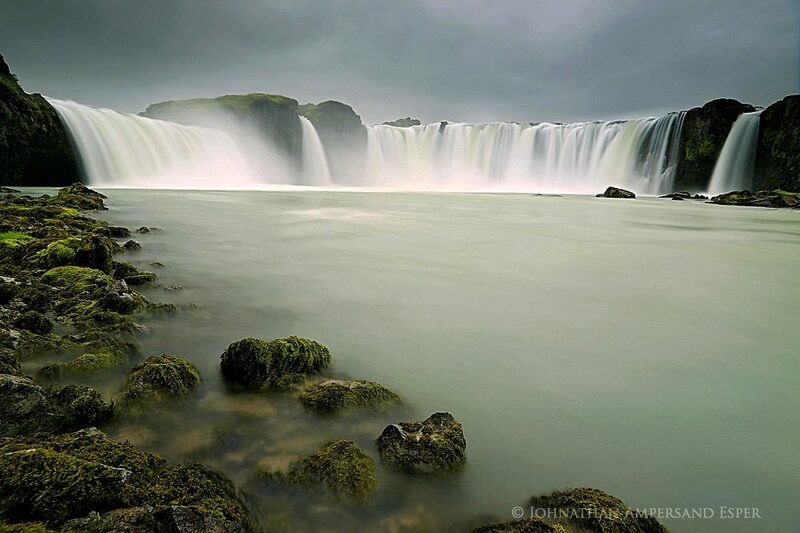 The day will begin with visiting Godafoss crescent waterfall, and Aldeyjarfoss waterfall in the Highlands. Then we follow some 4x4 shortcuts through the wilderness over to Myvatn lake and geothermal area, with interesting lava towers and formations, birch forests set amid the black lava, psuedo-craters, and huge craters. 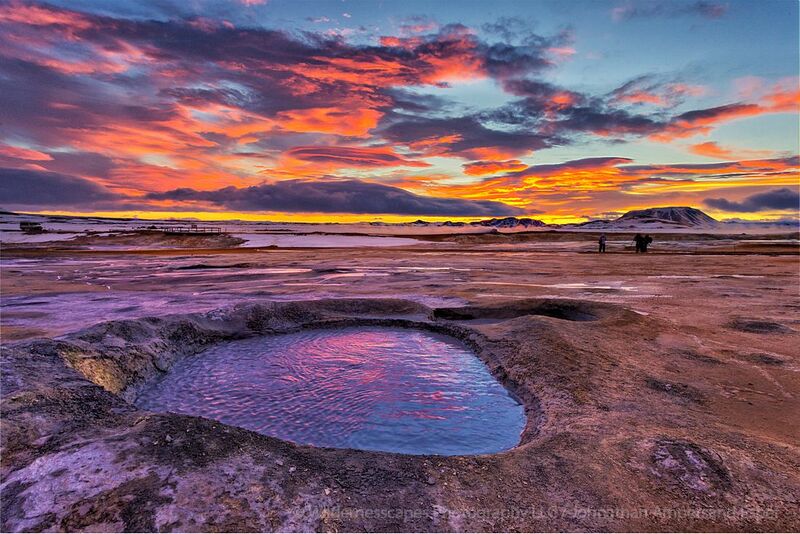 Accommodations will be in the Myvatn region. 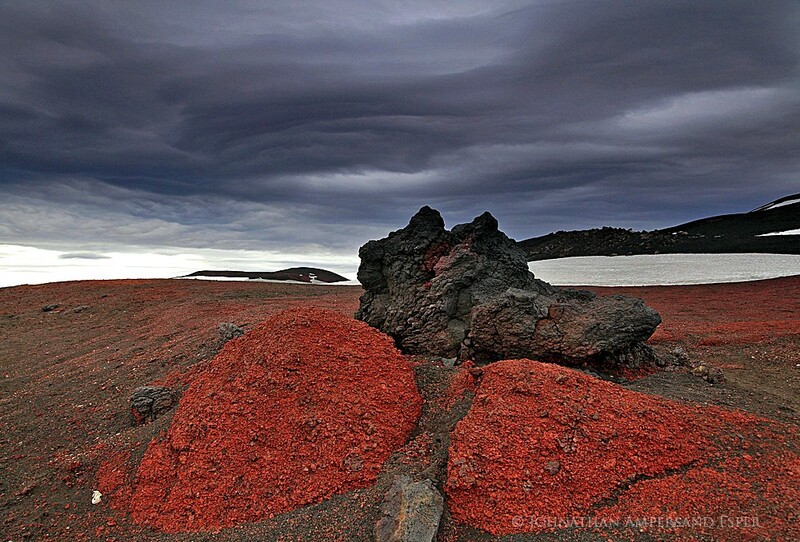 On day 10 we'll continue to visit the Myvatn volcanic area, including the colorful Namafjall geothermal area. We'll also photograph Dettifoss and Selfoss waterfalls, Asbyrgi canyon, and some secret puffin cliffs on the far north coast. We'll spend the night around Husavik, a fishing town, where we hope to watch the midnight sun barely set over the Arctic Ocean -- we're only a few miles south of the Arctic Circle! This will be a longer travelling day, through remote sections of northern Iceland. We'll then spend the rest of the afternoon and evening in the Eastfjords, photographing coves, symmetrical mountains, secret waterfalls, and quaint fishing villages. Accommodations will be in Hofn, with a midnight sunset shoot around the famous Vestrahorn peaks and Stokknes black sand dunes. 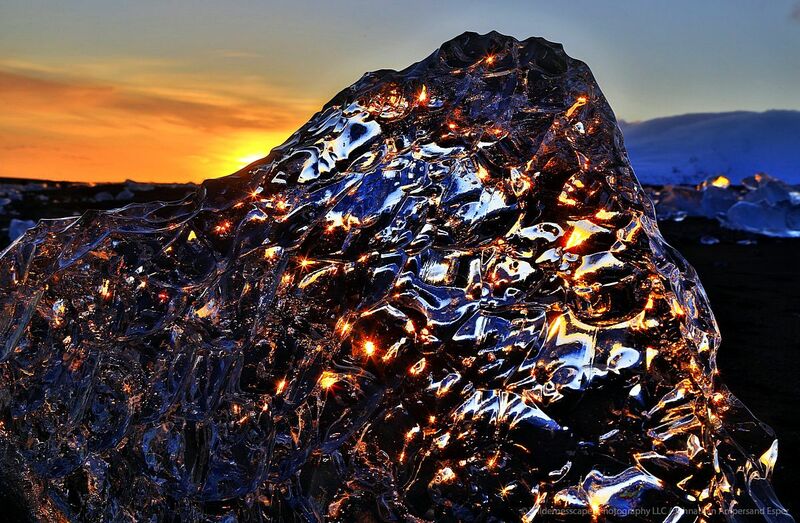 We'll spend the entire day around the ever-popular Jokulsarlon glacial lagoon area with icebergs, including for sunset. Accommodations will be in the Jokulsarlon area. 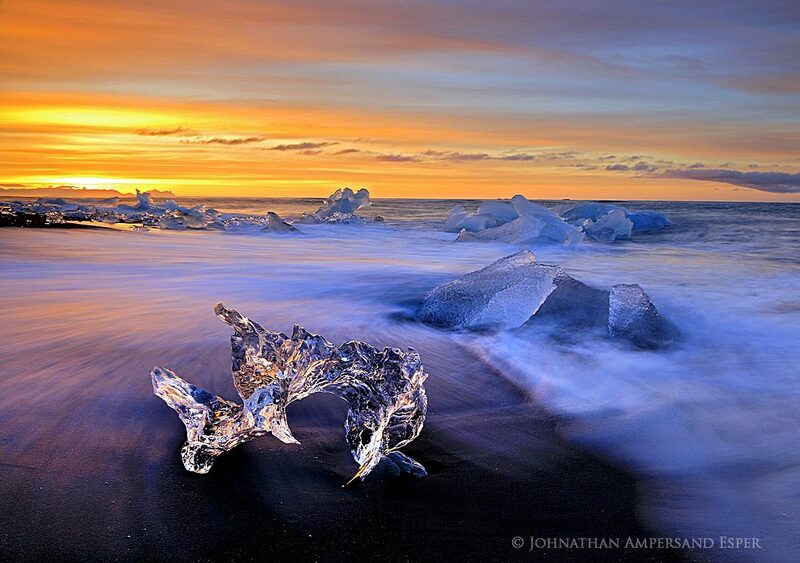 In the morning, we'll continue photographing Jokulsarlon and the nearby iceberg-scattered black sand beach. Included is a morning zodiac ride out on the glacial lagoon among the icebergs. We'll then continue along the Ring Road to the Skaftafell glacial area, including Svinafell glacier and Svartifoss waterfall hike. 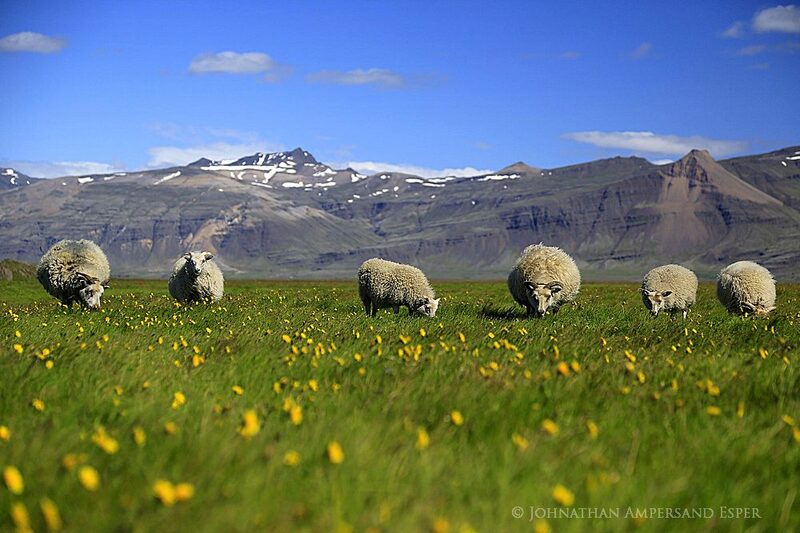 Accommodations will be next to the glaciers at Skaftafell. We'll take a walk right behind Seljalandsfoss waterfall (hope you brought along a weather-sealed camera body! 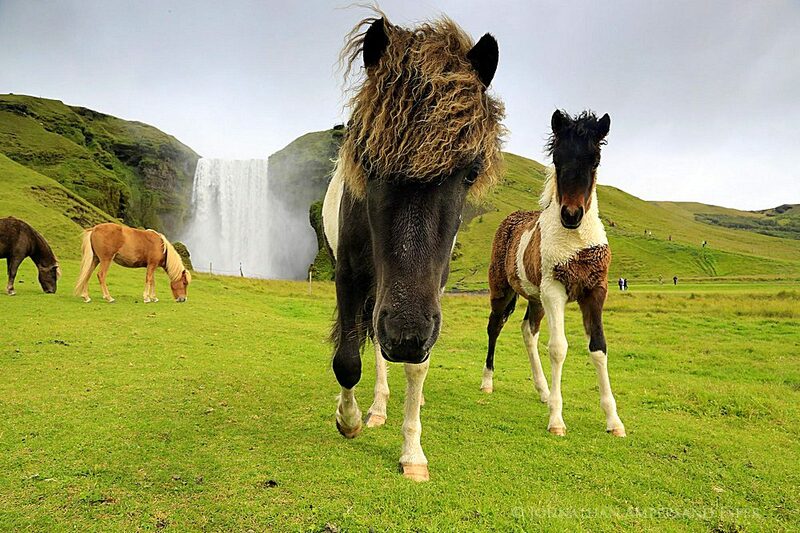 ), and also photograph Skógafoss. 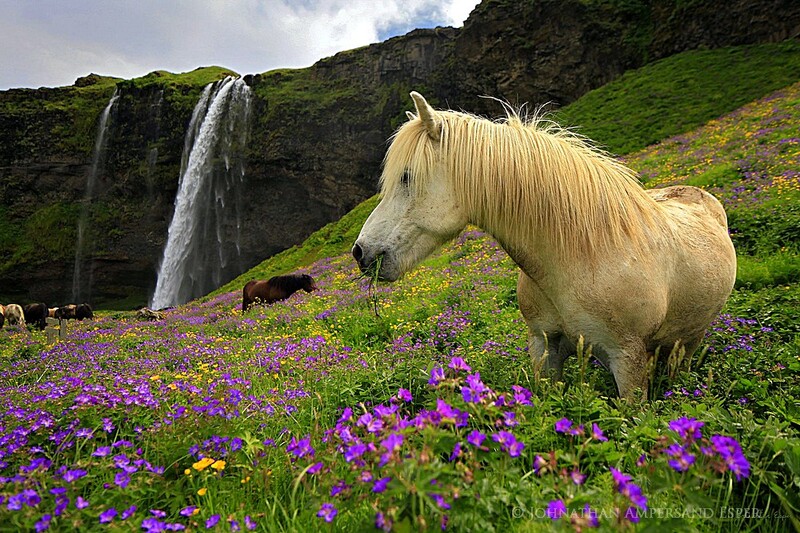 Next we'll spend our evening around the small town of Skógafoss. 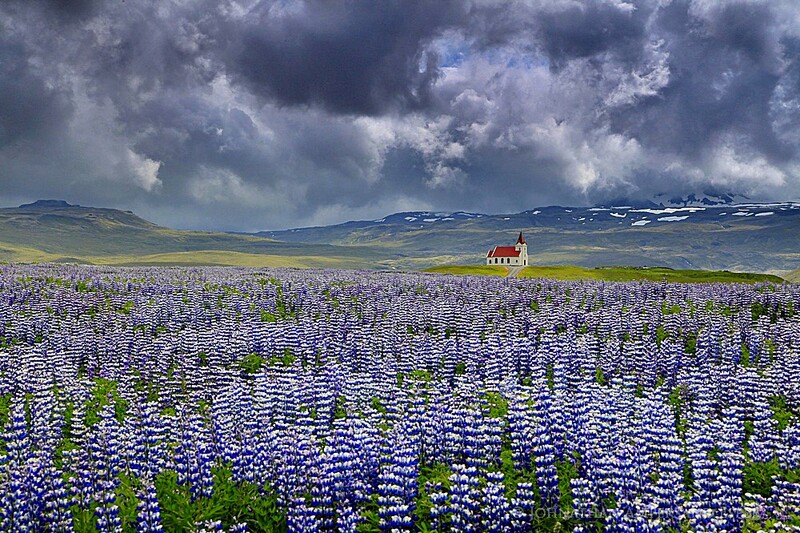 Next we’ll spend our evening around the small town of Vík y Mýrdal (which has a beautiful country church surrounded by fields of lupine wildflowers), and photograph the Dyrhólaey sea arches, sea stacks, and puffin colony. On our last day, we'll explore the Landmannalauger Highlands area and 4x4 routes, including hikes, seeing colorful canyons and huge crater lakes, and bathing in geothermal pools. We'll arrive back in Reykjavik very late in the evening after a late dinner and possibly a late sunset. Accommodations are included on this last night, ending the trip. Start/End: Accommodation starts on the evening of June 27th, with depature from Reykjavik via domestic flight to Akureyri, and the trip concludes with a accommodation in Reykjavik on the night of July 4th. We'll be so immersed in the Icelandic countryside for our entire time as a group, that we have left no time to enjoy the sights of Reykjavik, so we encourage you to stay in Reykjavik for a couple days on your own, either before or after the tour. Accommodation for 15 nights, including a night in Reykjavik at the start of the trip. Accommodation will be comfortable, clean, and ideally situated close to photographic objectives, and will vary including hotels, country guesthouses, and a couple nights in Icelandic Highland wilderness cabins with sleeping bag accommodation, which will be provided. Based on double occupancy -- add $75/nt for single supplement (if there's availability). Some guesthouse rooms are with shared bathroom facilities. Experience Needed: This tour is open to digital photographers of all skill levels. If you have additional questions, the trip leader will be happy to answer them over the phone or by email. This photo workshop is all about in-the-field field photography and situational instruction, shooting alongside not just one but two working pros passionate about making this a photo trip of a lifetime. No emphasis is placed on classroom workshops or presentations, unless inclement weather gives us the time by forcing us indoors. Photographic topics that will be covered while shooting include classic landscape photography composition and technique, HDR (High Dynamic Range) imagery, panoramic photography, adventure and travel photography, and slow shutter speed effects. 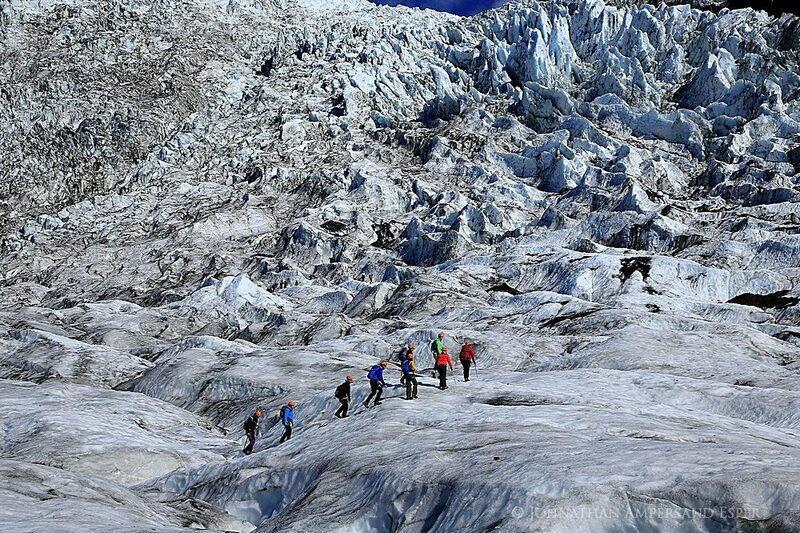 We may also be going on a couple shorter hikes (1-3 hours) to truly experience Iceland. Group participants may wander on their own occasionally if they wish to pursue individual photographic objectives, enabling each participant to get the most out of this once-in-a-lifetime trip. A maximum group size of 10 photographers ensures you will receive ample personal photographic coaching in the field from full time working pros, maximizing the group's flexibility and ability to shoot more places, more spontaneously based on light and weather, and provide the ultimate small group adventure experience. 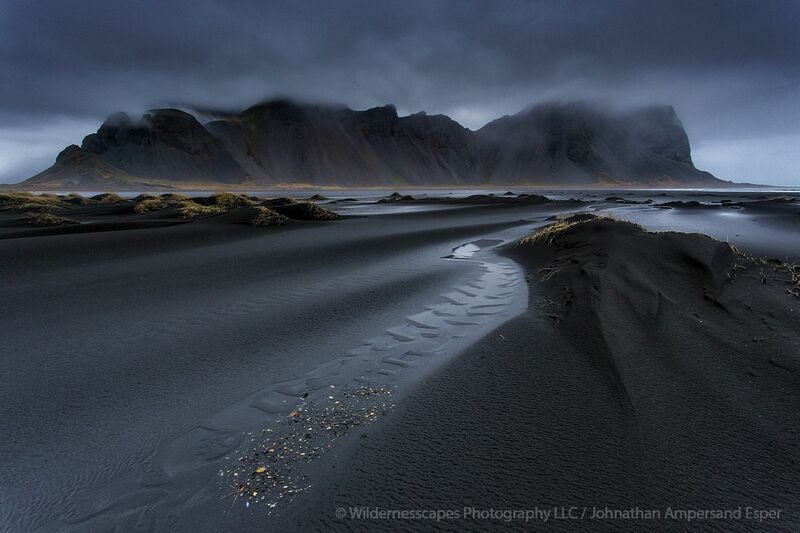 Johnathan Esper of Wildernesscapes Photography LLC, based in the USA, will be leading the trip, in partnership with co-guide Andrew Studer. 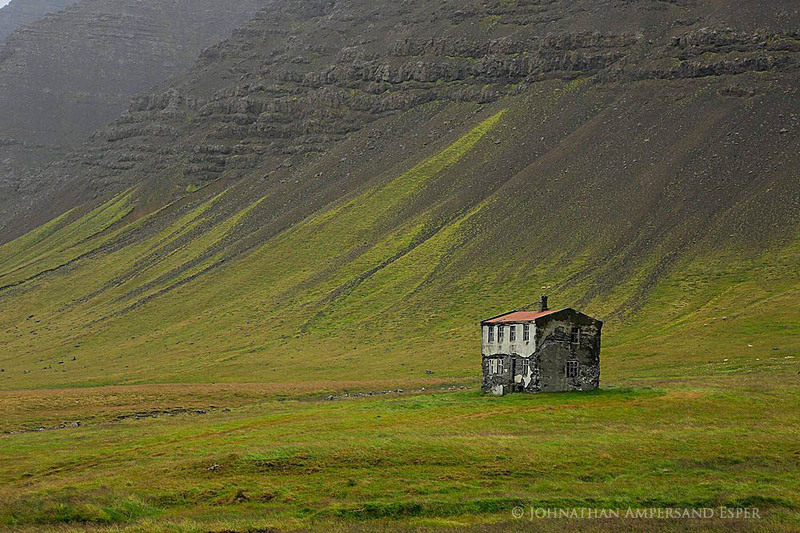 Johnathan is a full time photographer and experienced international photo trip leader, and this will be his 49th+ trip he's led to Iceland since beginning trips in the destination in 2011. Every trip so far has been an incredible experience for the participants. 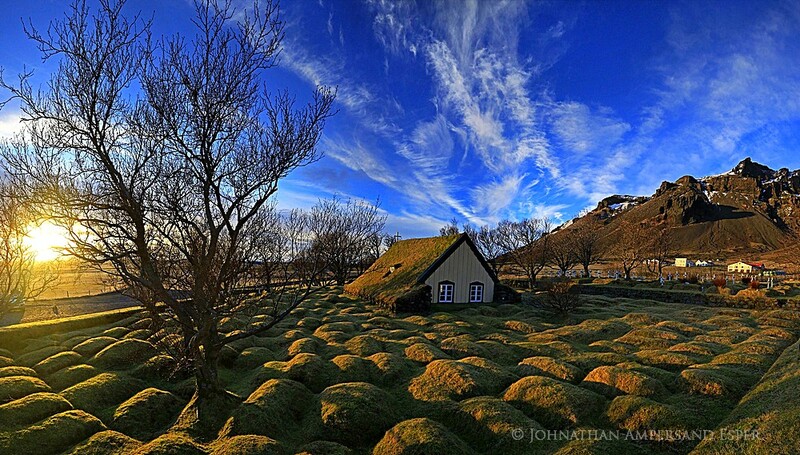 Johnathan has a unique background and an intimate knowledge of Iceland from living out of a car, exploring and photographing Iceland intensively for months at a time. 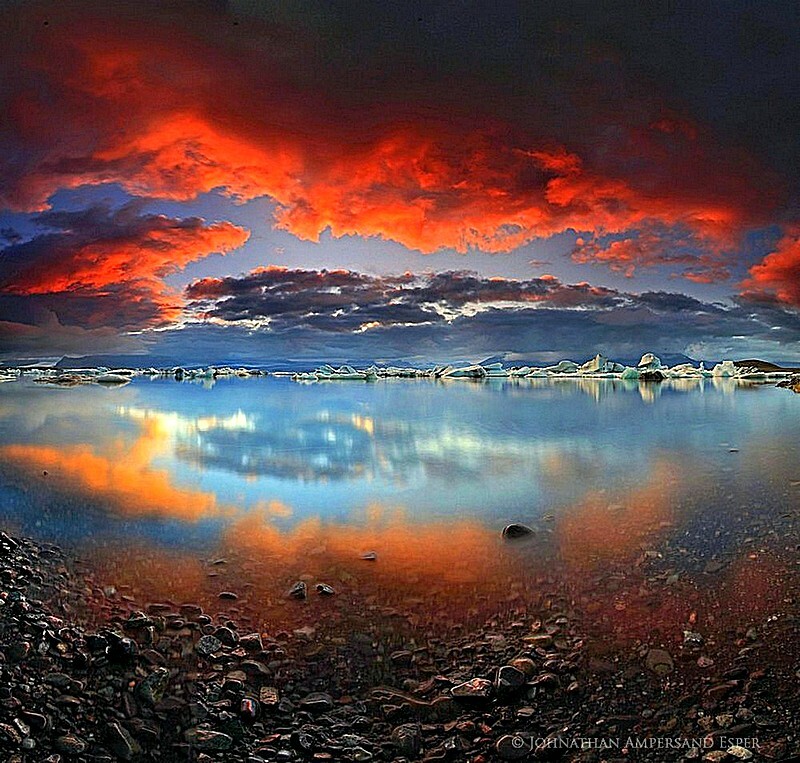 He specializes in panoramic and classical landscapes, aurora borealis, and adventure photography in Iceland, the Arctic regions, and the Adirondack region in the USA. Andrew Studer, an up and coming professional travel and adventure photographer and videographer based in Oregon, USA, will be the second photography guide. This will keep guide to client ratios super low for unparrelled access to the instructors and learning opporunities at every stop. Andrew will bring to the trip a special emphasis on capturing epic moments of people in the landscape, beyond just classical landscape photography. 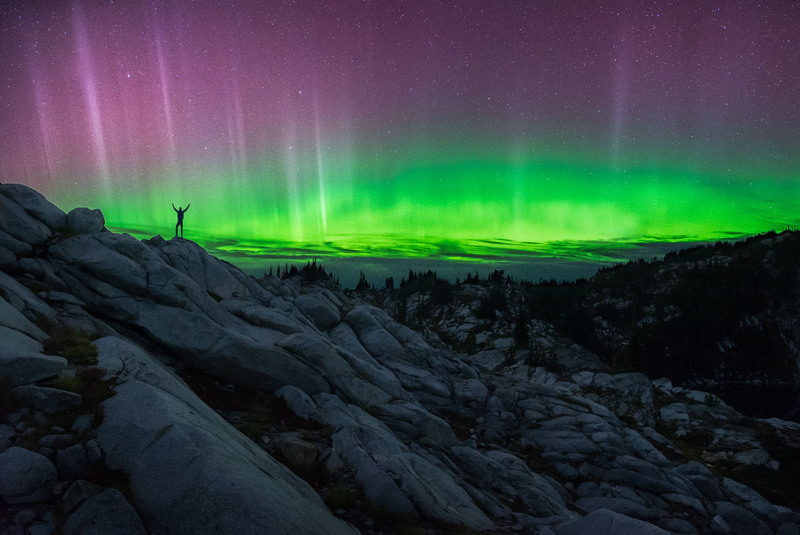 Andrew is famous and in-demand for his unforgettably impactful images of adventurers in the wilderness landscape. This trip consequently has something for everyone with it's scope and leaders. Andrew Studer's website may be viewed at www.andrewstuder.com. A comprehensive photo album from a 2014 trip participant can be viewed on Smugmug, to give you an idea of what this trip will be like. Deposit: A $600 deposit is due at the time of registration, and the remaining balance is due by the trip start. Until payment is sent, your place is not guaranteed. You may conveniently pay your deposit here (near bottom of page) securely with your credit card, processed by Paypal payment processor. The deposit portion may also be paid via personal or bank check for USA and Canadian clients. Please contact me if you need any assistance in signing up! Final Payment: The final payment for the balance due on the trip (after your paid deposit), is due one week prior to the trip start. Payment options include bank transfer to my Icelandic bank account (details on request), cash in person at the trip start (with prior permissin), personal or bank checks (preferred for USA and Canada clients), and credit cards (a 2% credit card fee will be added for final payments with card).